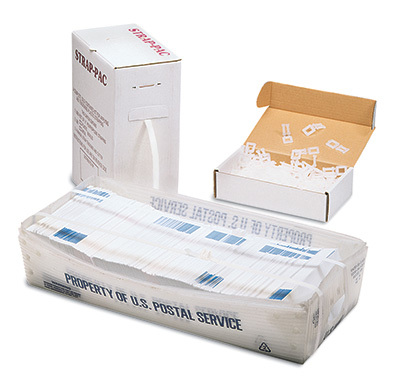 Complete, self-contained strapping kit complies with postal regulations. Light, portable kits include coil of 1/2" strapping with 300 lb. tensile strength, white plastic buckles, and hand pull tensioner/cutting tool. Watch the video below to see how to use the strapping kit.